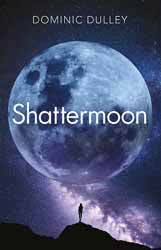 Shattermoon (2019. 433 pages) is the first book in The Long Game series of novel, written by Dominic Dulley. The story is an unapologetic space opera. There are some perfunctory nods to the science behind space travel and fighting in space, but, in truth, we are in the Star Wars school of spaceflight and characterisation. The story is part thriller and part space opera, though it leans heavily towards the latter genre. One thing you can’t take away from the book is the pace at which the story steams along. The book is full of short chapters full of movement and action, it barely gives you room to draw a breath. This does not come without some cost. The world building is a little shallow and sketchy, but as this is only book one maybe the author means to fill his world in as we go. Orry is our POV character, a young and resourceful woman, who, frankly, has an ability to get out of the most ridiculous situations, only to fall into the next one. Once again the pace of the book does not do the central character justice. She has an early loss, which is referred to, but I never got the feeling that enough room was given for her to really grieve or come to terms with the loss, cheapening it in the long run. That said, I don’t think that this was really the main focus of the book. Ultimately, the story is an entertainment and if that is what Dulley set out to produce, then he has succeeded. It has all the ingredients of a space opera: a corrupt system for Orry to rebel against, a mystery in her own past, space pirates and assassins and a big bad alien race bent on the destruction of humanity. As a bit of entertaining space opera I thoroughly enjoyed my breakneck travel through Dulley’s new universe, I just hope he is able to add more weight with the successor novels.